There’s no need to compromise on quality when you drive home in a used car from Apple Tree Acura. We have plenty of used Acura vehicles in stock, non-Acura used vehicles, and a rotating selection of used vehicle exclusive offers. 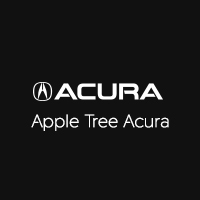 We carefully inspect each model for quality, so you know your next used car will be up to the high standards of Apple Tree Acura. After you’ve perused our used inventory online, make your way to our dealership in Fletcher for a closer look. Due to our varied stock of popular pre-owned options, we’re confident that you’ll find a model you love within your budget. And, keep your vehicle feeling brand new with these tips on cleaning your Acura leather seats. Have questions? Feel free to contact us about our used inventory before making your way from Asheville to take a test drive.